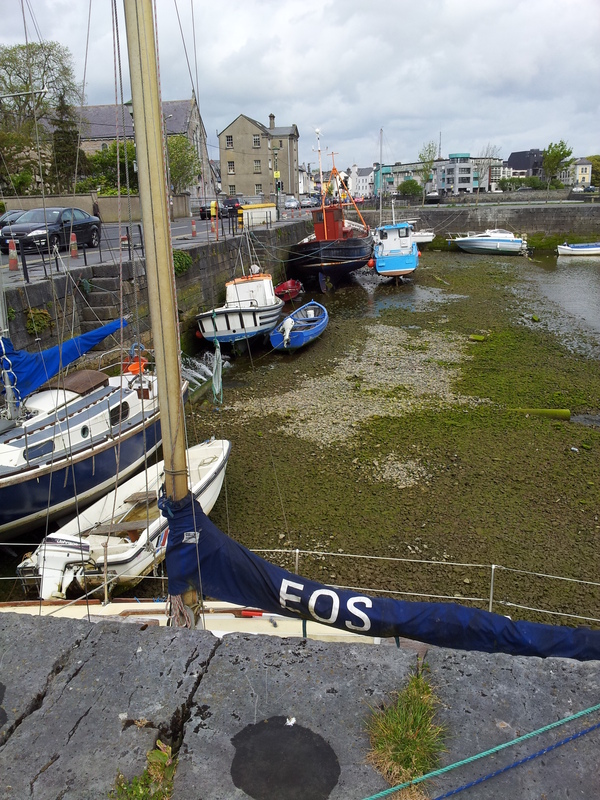 Let’s have a break from the politics and return to the quiet beauty of the Claddagh, Galway’s historic fishing village. 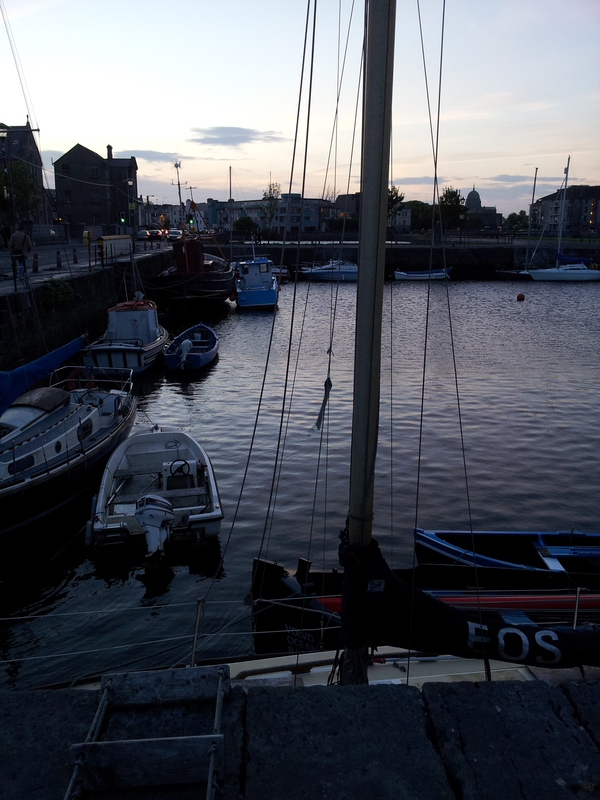 Sunset in the Claddagh. 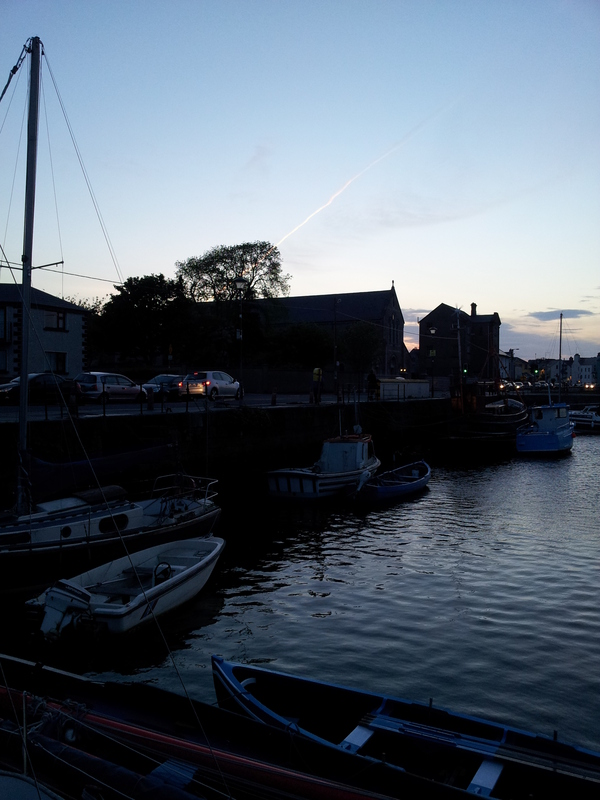 The rightmost of the buildings we used to call the Claddagh Bank, back when it was a social welfare office. Before that it was the Piscatorial School, an institution for the education of fisher-folk. 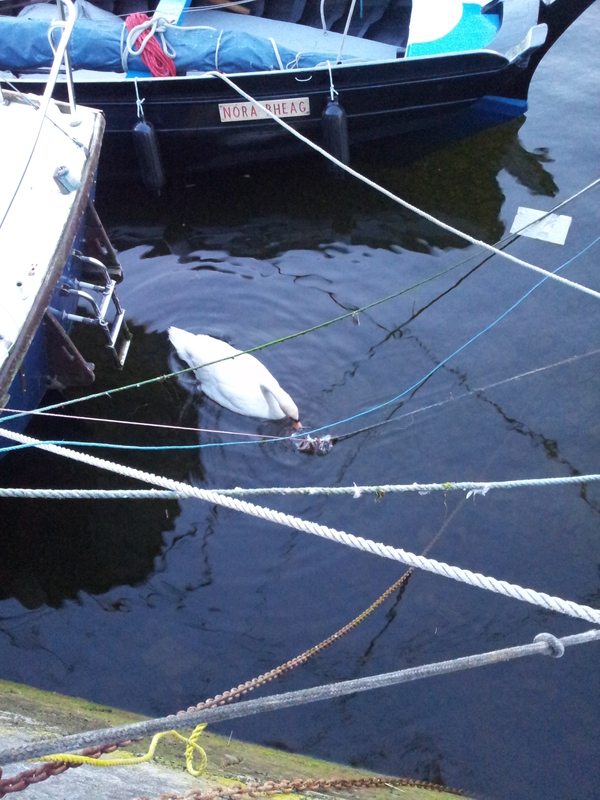 Where there’s boats, there’s ropes. Or sheets, as sailors call them. In turn, sailors call sheets “sails”. This is where they get their name. I should get PhotoShopping on this to bring out the contrasts, but I’m really tired. This was at the start of a walk that ended up taking three hours. A similar angle to one I took last time, but now the higher tide completes the illusion. Well the last couple of days have been intense. So much so that I’m far too tired to tell stories now. 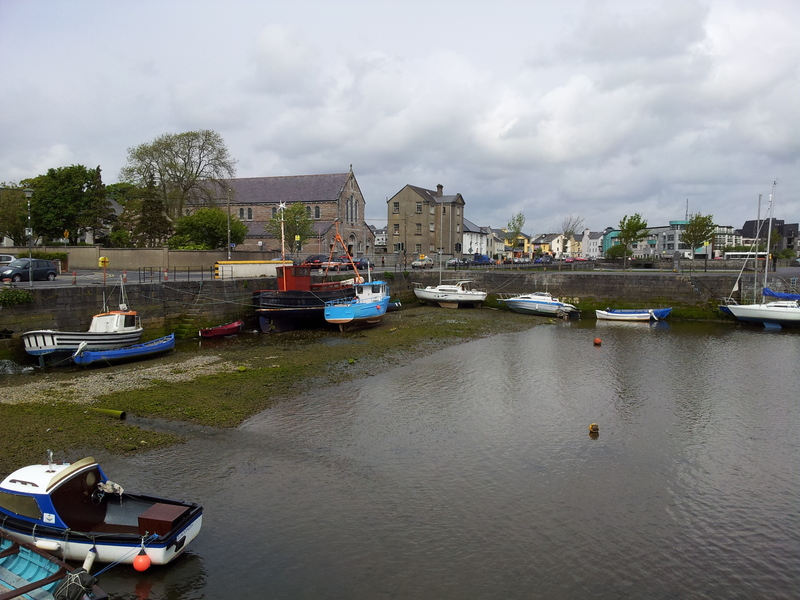 Here then are some pictures, of Galway’s photogenic Claddagh. Where the rings come from. Incidentally, a shout out to all the people who visited the blog from Switzerland today. I have no idea why you came, but I was very glad to see you.